Today, America’s winemaking industry and culture will mark a significant milestone: 50 years since the formal dedication and first grape crush at the Robert Mondavi Winery in Napa Valley’s Oakville. 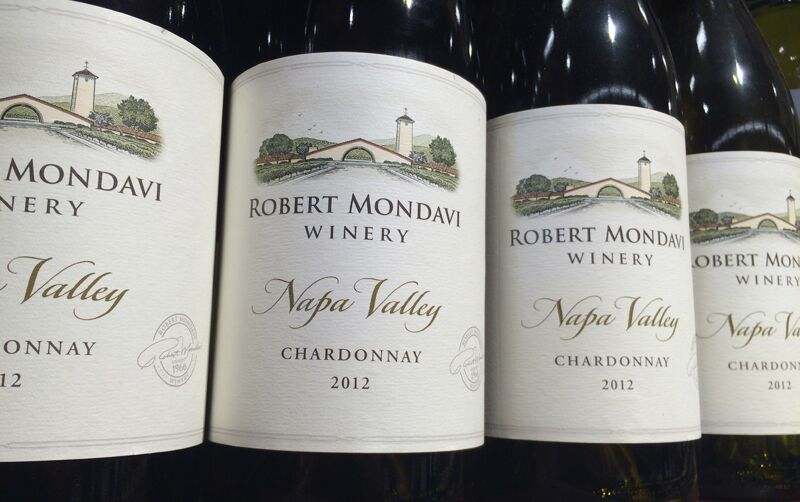 A little background: The Robert Mondavi Winery was the first major ground-up winery in the U.S. since the end of Prohibition in 1933 and the first significant new one to focus exclusively on making wines from higher-end, largely European-born grape varietals. American winemakers back then normally used these varietals sparingly, instead producing mostly fortified and sweet (and sweetly fortified) wines from lower-end, more utilitarian grapes most consumers today have probably never heard of (Carignan, anyone?). For that is the sort of wine Americans wanted. Most of the wine produced, purchased and likely consumed was of this fortified ilk until the late 1960s. Then, sales started tipping toward drier, finer wines—the Merlot, Cab-Sav, etc., that we know so well now. In 1971, Chardonnay was not among the top five grape varietals grown in industry-leading California. Ten years later, it was the most popular white wine in the country and perhaps the most popular, red or white. By the early 1980s, too, there was an entire culture behind fine wine in America that hadn’t existed the decade before—magazines, newsletters, fancy tastings, trade conventions, tasting tours, the primetime smash Falcon Crest (set in the fictitious California locale Tuscany Valley). Robert Mondavi—the winery and its namesake—did not directly cause these changes. Myriad factors combined to lead the shifts, including the rise of the baby boomers and some bad years for the wine-leading French. But the winery’s launch and its owner’s focus helped immensely. What’s all of this got to do with beer? American beer may very well be on its way to mimicking the stylistic changes in American wine. Just as it seemed improbable when the Robert Mondavi Winery crushed those first Pinot Noir grapes on Sept. 6, 1966, that Americans would one day down oceans of Chardonnay, it would have seemed just as improbable that they’d down something called India pale ale. Yet, about a year and a month before that inaugural crush in Oakville, about 60 miles south in San Francisco, a home-appliance heir named Fritz Maytag began quietly rescuing the last small brewery in America making beer with more traditional ingredients and more traditional methods. Maytag’s Anchor Brewing would unwittingly touch off a 50-year run of its own in terms of changing beer production and consumption. Anchor would popularize nearly extinct styles such as IPA, porter, barley wine, and, of course, steam; and provide a model for how to run and scale up a small, independently owned brewery. Like Robert Mondavi, Anchor did not transform Americans’ taste in beer—and brewers’ style choices—single-handedly. But its launch and its focus helped immensely. Make no mistake: Beer has a long, long way to go in terms of ever pivoting the way wine has pivoted stylistically in the U.S. The vast majority of beer produced, bought and consumed is still of the lighter, thinner lager sort—light beer, in fact, remains the most popular beer style America has bequeathed the world. In wine, Chardonnay, et al, overtook their fortified, sweeter brethren in the marketplace when Hillary Clinton and Donald Trump were in college—and haven’t looked back. There is a sense, though, that the pivot is underway in beer. Note the recent small-brewery acquisitions of Anheuser-Busch InBev and other bigger concerns. Or the 50-50 partnership between IPA popularizer Lagunitas and global drinks hegemon Heineken. Read more Acitelli on History posts. Tom Acitelli is the author of The Audacity of Hops: The History of America’s Craft Beer Revolution. His most recent book is a history of American fine wine called American Wine: A Coming-of-Age Story. Reach him on Twitter @tomacitelli. Anheuser-Busch to acquire Devils Backbone Brewing Co.